If you’re at all interested in metaphor and language, the entire Aeon piece is a must read – as are the comments which add some intelligent critical debate (in online comments…. I know!). “…you do have to be careful with emotional responses. I worked on a project about childhood resilience. The question was how do children turn out well despite difficult circumstances? We had become acquainted with the metaphor of dandelions and orchids, which originated with the paediatrician Tom Boyce at Berkeley. He used it to describe two types of child, one who did well in a range of circumstances (the dandelion), and one who succeeded only under a narrow set of circumstances (the orchid). Journalists liked it – the US science writer David Dobbs was writing a book under this title. It was thought to be conventionally successful. But it had never been tested with users. 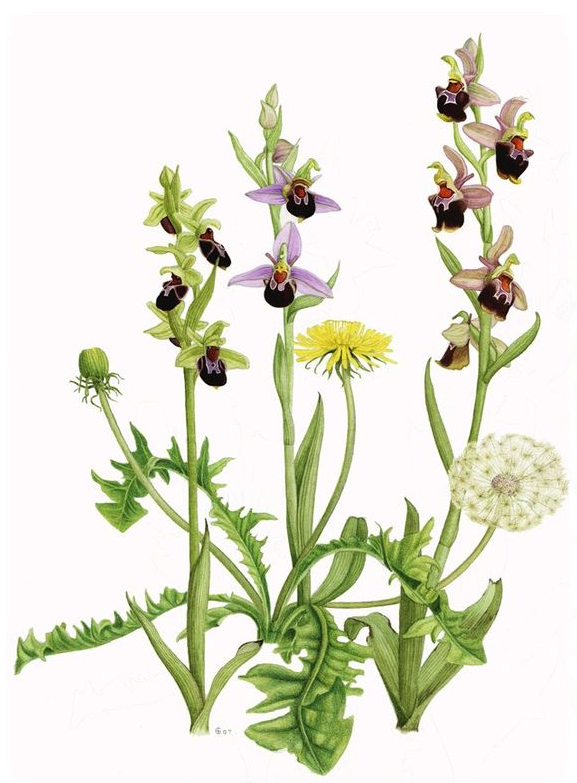 We found that people knew what orchids and dandelions were (not always something you can count on). Also, the comparison appeared to help them understand why certain children do well and others don’t. Yet there was a problem: people valued the orchid and looked down on the dandelion. The culture said they should value the rare, beautiful thing, not the sturdy weed. And so the average American saw no sense in making more dandelions. Besides, their child was not common but special and rare. In Lakoff and Johnson’s highly influential book Metaphors We Live By they propose that metaphors refer to the understanding of one concept, or conceptual domain, in terms of another. They identified multiple conceptual metaphors including LOVE IS A JOURNEY, LOVE IS WAR, and LIFE IS A JOURNEY (I’ve followed their convention of using capitalisation to denote a conceptual metaphor). Based on Lakoff and Johnson’s idea, the conceptual metaphor for the example quoted above would be something like CHILDREN ARE FLOWERS or CHILDREN ARE PLANTS. The danger of this conceptual mapping is obvious, as the article discusses – not all plants are wanted, some plants are ‘beautiful’ while others are ‘weeds’, but also, plants can die easily, plants can be pulled out, trampled on, poisoned, consumed, and so on. Metaphors can be sticky, trendy, catchy and easy – too easy, but also misleading, over-simplified and deleterious to deep understanding. Lakoff and Johnson’s notion of one-to-one conceptual mapping might need to be considered carefully – saying one thing is the same as another -LOVE IS A JOURNEY- can help explain some common linguistic expressions, but it can also constrain understanding and iron out the wrinkles, obliterating the interesting nuances of human experience. Is love just the process of getting from one place to another? Construct and use metaphors with care, and perhaps be wary of metaphors that become slogans or memes. Quote: “Consider an animal (including a human) that has started eating some rotten, fetid, disgusting food. As a result, neurons in an area of the brain called the insula will activate. Gustatory disgust. Smell the same awful food, and the insula activates as well. Think about what might count as a disgusting food (say, taking a bite out of a struggling cockroach). Same thing.